Just a simple love story about a girl and her fork. 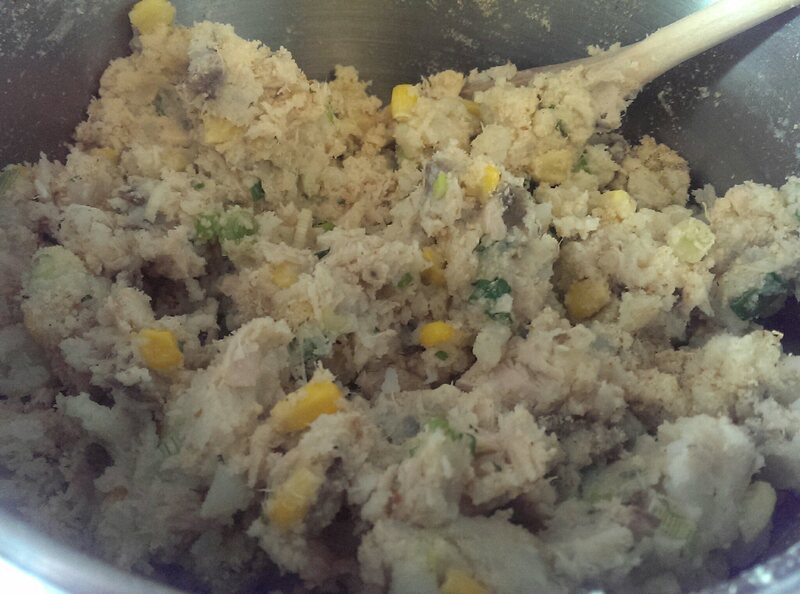 In a bowl, mash the boiled potatoes and add the tuna flakes. 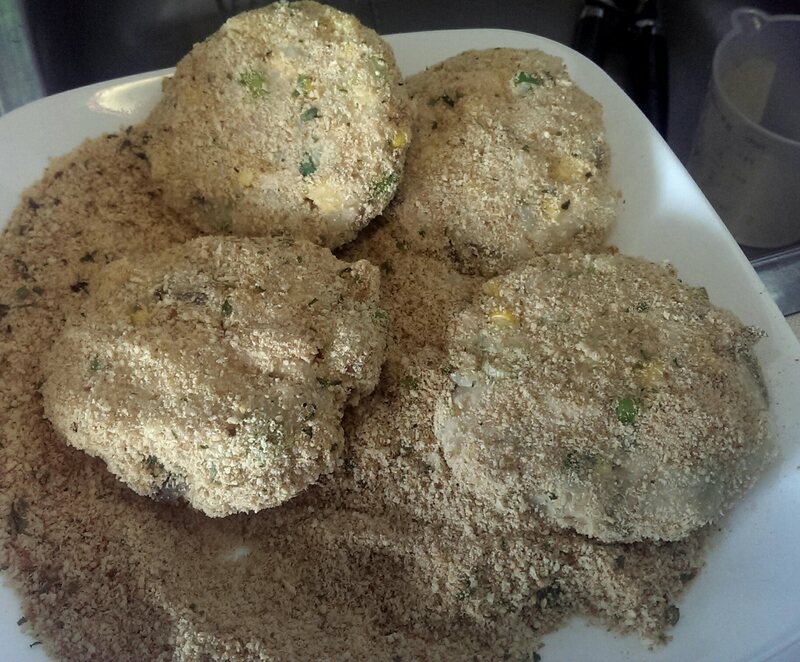 Once combined, add the corn kernels, onion, egg, breadcrumbs and season with salt and pepper. Mix to combine all ingredients. 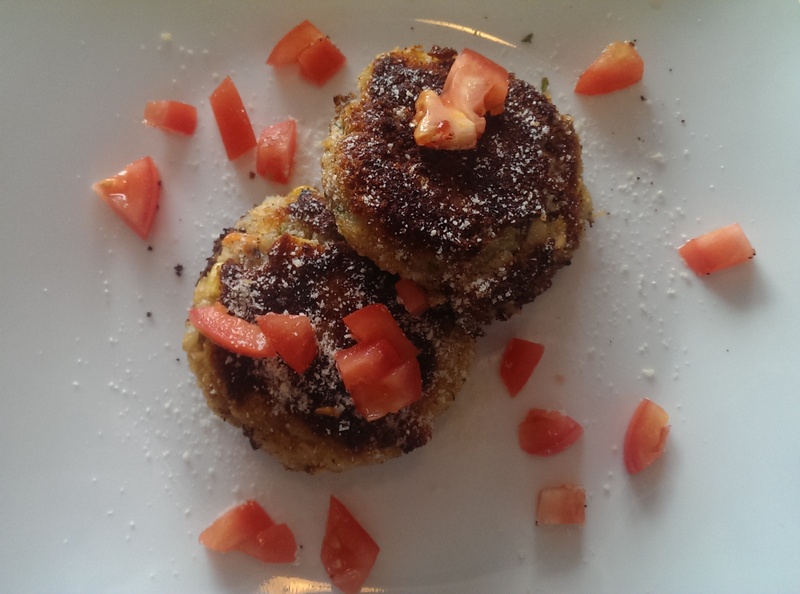 Using your hands, shape the mixture into 12 patties and coat them with the remaining breadcrumbs. Heat the oil in a non-stick skillet over medium high heat and cook the patties for a few minutes on each side or until you’ve reached desired browning. Gently remove excess oil with a paper towel. 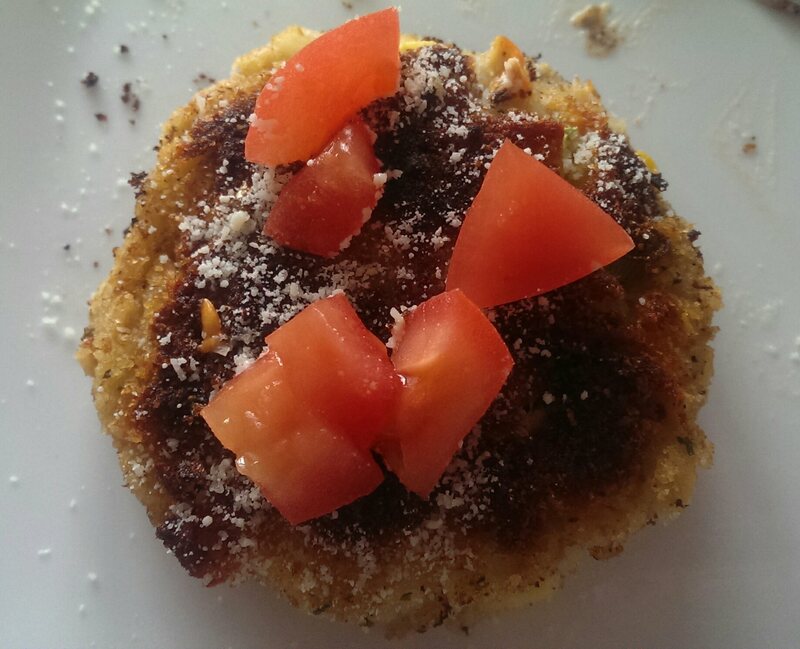 I really wanted to add some refreshing topping to these patties, so I diced up some roma tomatoes and sprinkled them on top with a dash of Parmesan cheese. I also made a quick chipotle mayo to dip these bad boys in and boy, did they go well together. They keep well in the fridge and are so easy to fry up for a quick and easy meal. As I mentioned before, they provide a great opportunity for creating different variations. 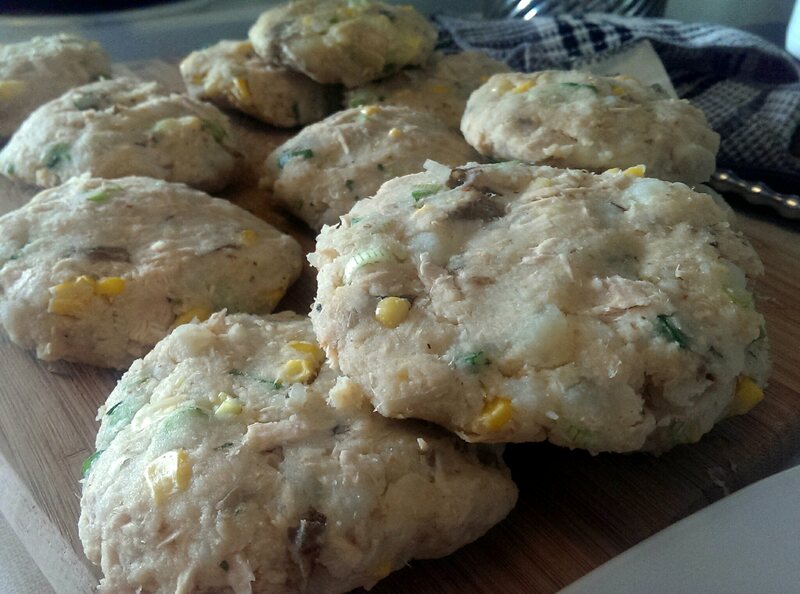 I really think some diced chorizo or cured ham would be great in these patties, maybe even a little garlic. Whatever you choose to add, I’m sure will be delicious. You can find the original recipe I used here. Blondie and the Fork is on Facebook! Follow Blondie and the Fork on Instagram!